I had the pleasure of meeting George Grant of the Glenfarclas family at a K&L Tasting on Tuesday. Very friendly chap, even when I asked him if he was related to the Grants of Glenfiddich (William Grant & Sons company). 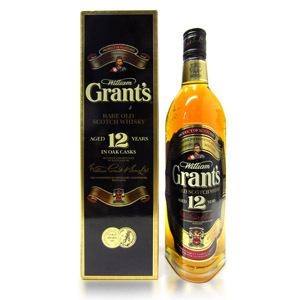 Yes, he said, if you go back some 200 years, he’s related to them… but he mentioned that the William Grant & Sons company has been controlled by the Gordon family after William Grant left the company to his son-in-law, Charles Gordon in 1923. Glenfarclas is one of the few independent family-owned distilleries left in Scotland. Oh to be the heir of a family with some tens of thousands of barrels of quietly aging sherry-matured scotch to its name! Let’s hope they keep their heads above water and the dollar signs out of their eyes, lest we see another independent bite the dust. Big stills (the biggest in Speyside), which are direct-fired (not heated with steam) contribute to the interesting duality of Glenfarclas whisky: it is at once weighty and light – deep but crisp – and although it is aged almost exclusively in first-fill ex-sherry barrels, it does not become syrupy or heavy with fruit. I had a sip of the 40 year-old a few weeks ago, and while it tasted old, it did not taste thick, over-sherried, or unpleasantly woody. Of course, one must pay for high-quality whisky produced with an independent spirit. The 17 year-old is $90. Nose: Toffee. Marshmallow. Smooth – very elegant and refined. Bit of orange peel oil. Palate: More orange. Medium sherry character. Delivers on the promises made by the nose. Pleasant and easy to sip. Finish: Oh yeah. Supple. Orange peel, with a lightly herbal sherry character that is more reminiscent of crisp white cherries than heavy dried prunes. No bitterness at all, and while the finish is only of medium length, it resounds to the end with crisp citrusy sherry and lightly caramelly malt. Overall: Yum. Very enjoyable. Of course, it’s $90, so… not exactly great value, but if you compare it to some of the $100+ 18 year-olds on the market, it stands up well. 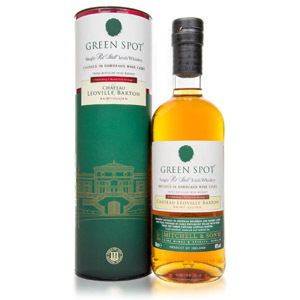 One of only two Scottish distilleries that has remained in family ownership since its establishment, the Speyside distillery has six stills, and are some of the largest in the region, but still refers to itself as a “Highland” malt. The stills are direct-fired rather than steam heated, which the family claims is necessary to produce a weighty spirit. Its water flows from the heather-covered slopes of Ben Rinnes. Glenfarclas whisky is aged exclusively in ex-sherry casks, most from producer José-Miguel Martin. The whisky matures slowly in earthen-floored dunnage warehouses, with little loss to the angels. It might be said that Glenfarclas shows best after long aging, and the family releases a long series of bottlings into the 40 and 50 year-old range. Is that just a dark bottle, or is the sherry influence as dark as a 20-year-old rum? I have the opportunity to buy the 21 yr & 25 yr Glenfarclas but know absolutely nothing about these vintages. Any suggestions. Thanks. I’ve never had them, although I have had 30ml of the Glenfarclas 40 year-old. I didn’t review it, but I wrote a few notes here. I’m guessing the 21 is probably like the 17 above, but with a little more heft. The 25 may be verging on the “woody” quality that the 40-year had, but I’m guessing it still commands a high price for a reason. For what it’s worth, Glenfarclas is known to be one of the best values in “old” whisky (try finding a reasonably-priced official bottling of Macallan 25). 21 and 25 yr olds are GRRREAT!Good value too..one is £82approx and £110approx,when i tried them(2017).Amazing sherried whiskies and smoothness and great flavours.25 more reluctant to give up its flavours though..more time in glass needed..but totally worth it.Some of the best whiskies I have EVER tasted!!!! Thanks Nathan. Going all in and buying the 17, 21 & 25 yrs. Hey Nathan. 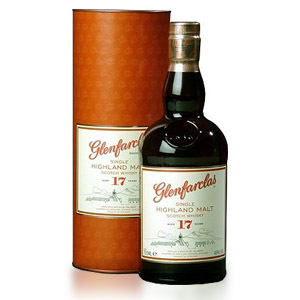 Finally getting to The Glenfarclas 17. 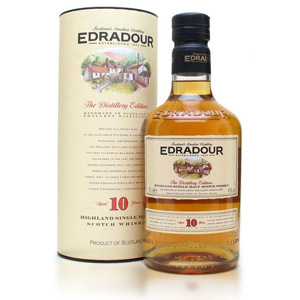 The nose was surprising, even though it’s a 43% ABV, this whisky hits the nose with a punch. My first impressions were caramel, fruit, apples and a bit of raisin or figs. The palate was nicely sherry, very smooth sipping. The finish was fantastic and somewhat long lasting. Vanilla, butterscotch, orange zest, raisin/fig, slight woodiness, divinity & a mysterious nut. Overall a very good sherry scotch. Very glad I purchase this one. Any suggestions on another recommendation similar to this. Hi Greg, glad you enjoyed the 17! Have you had any GlenDronach? I think it’s pretty similar to the 15 and 18, although the 12 (which is more like Macallan 12) is one of my bar staples. 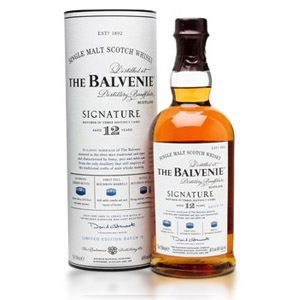 There’s also Glen Goyne 12 which is fresher and brighter (more fresh fruit and less raisin/fig), Aberlour (I prefer the cask-strength abunadh) or perhaps Edradour (although I have a lot of trouble finding bottlings of this in the US). Cheers!